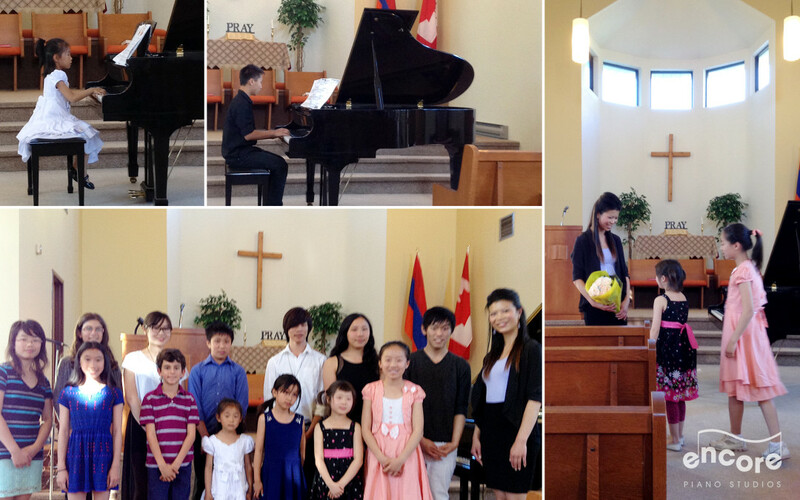 Kudos to all of the fantastic performers this past Saturday, June 14th at Encore Piano Studios’ 2014 Annual Recital! A big thumbs up for the hard work and dedication of these young pianists during their piano lessons and months of practice, to have so wonderfully prepared their pieces to share with us. Of course it goes with out saying the entire event couldn’t have been possible without the much appreciated support from the families and and friends in attendance in attendance every year. The art of piano is something that benefits those practicing it in many ways, this recital primarily highlighted the encore music studios kids piano classes members & really showed what dedication and commitment to a goal can achieve. Through study, determination and focus during all the piano lessons leading up to the event both parents and myself have had the pleasure of seeing the performers rise to the occasion resulting in yet another very successful event for encore piano studios and all of our members. Finally, a warm thank-you to the Armenian Brotherhood Bible Church for so graciously hosting our event and allowing us to share music here in their North York venue. Stay tuned for the upcoming showcase of select feature video performances from the 2014 north york piano recital – coming soon!